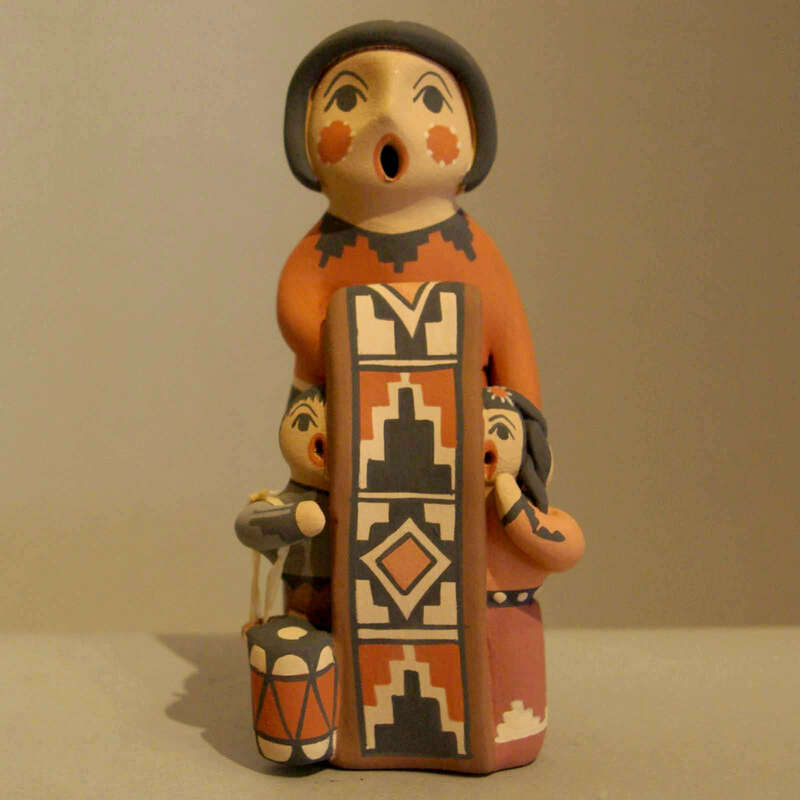 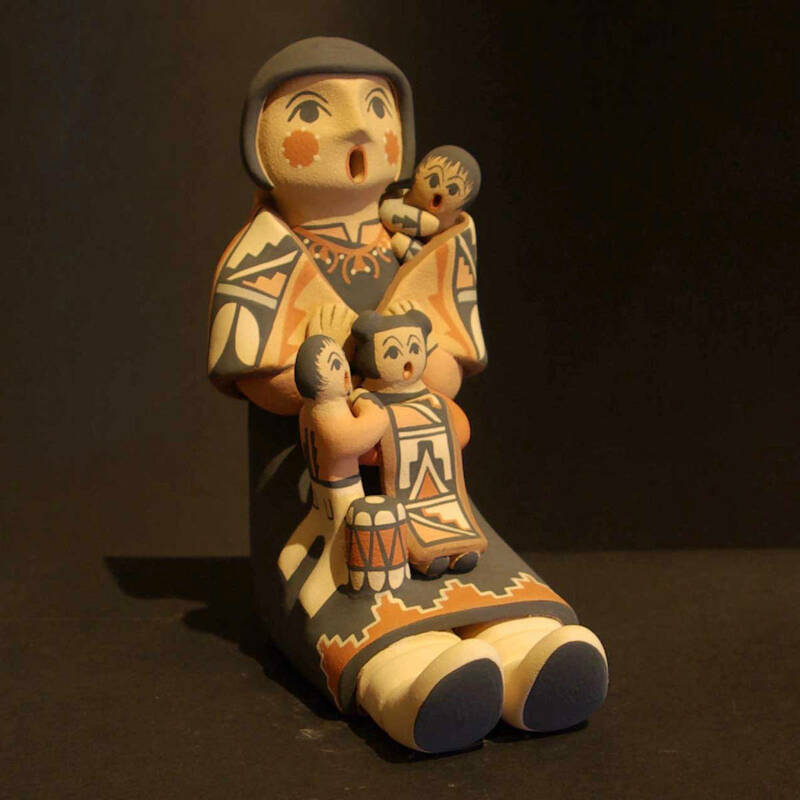 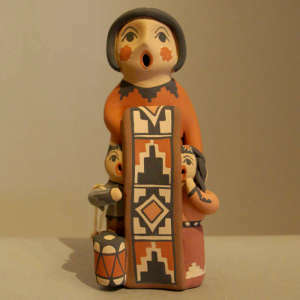 Linda Lucero Fragua was born into the Corn Clan at Jemez Pueblo on November 28, 1954. 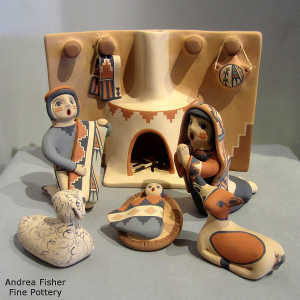 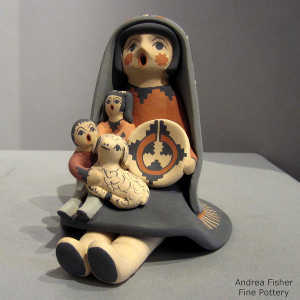 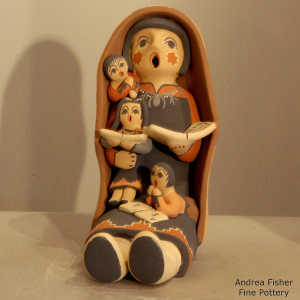 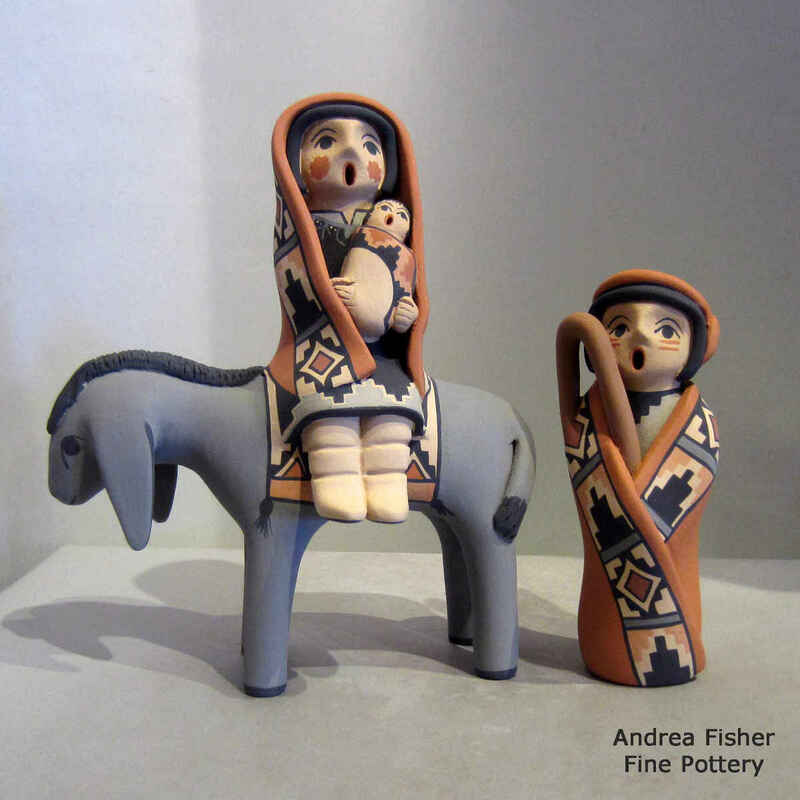 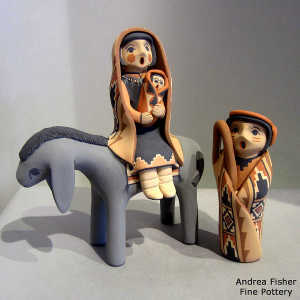 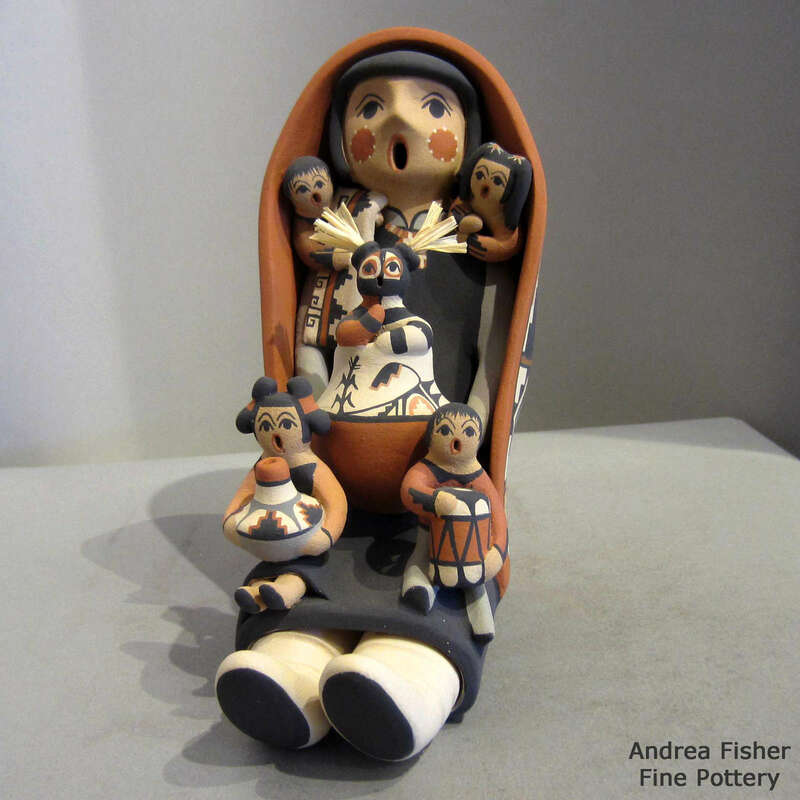 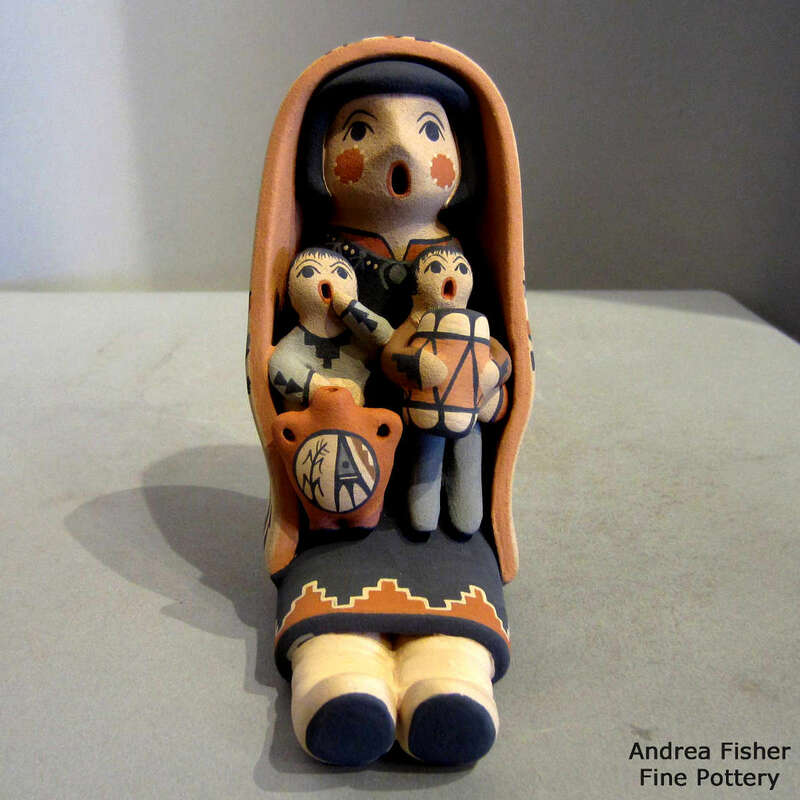 She learned the traditional art of making pottery from her mother, Rebecca Lucero, who had been been making pottery since she was a teenager. 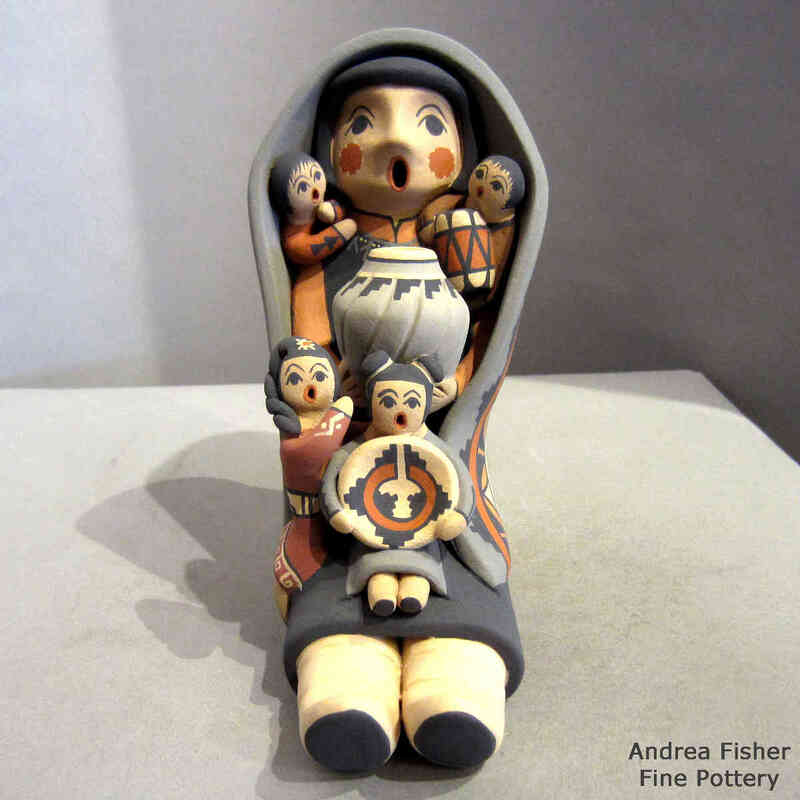 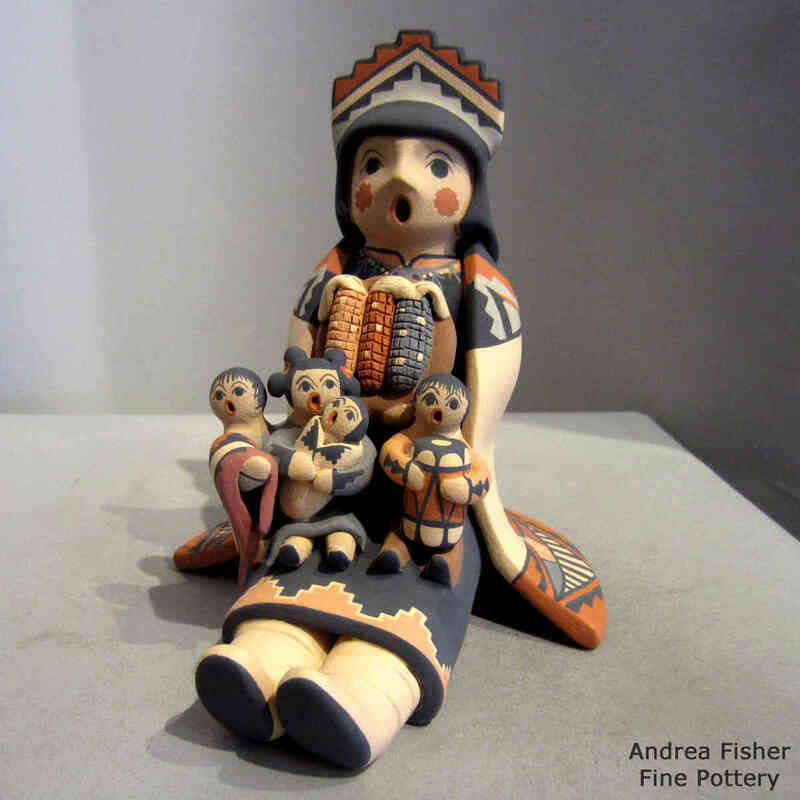 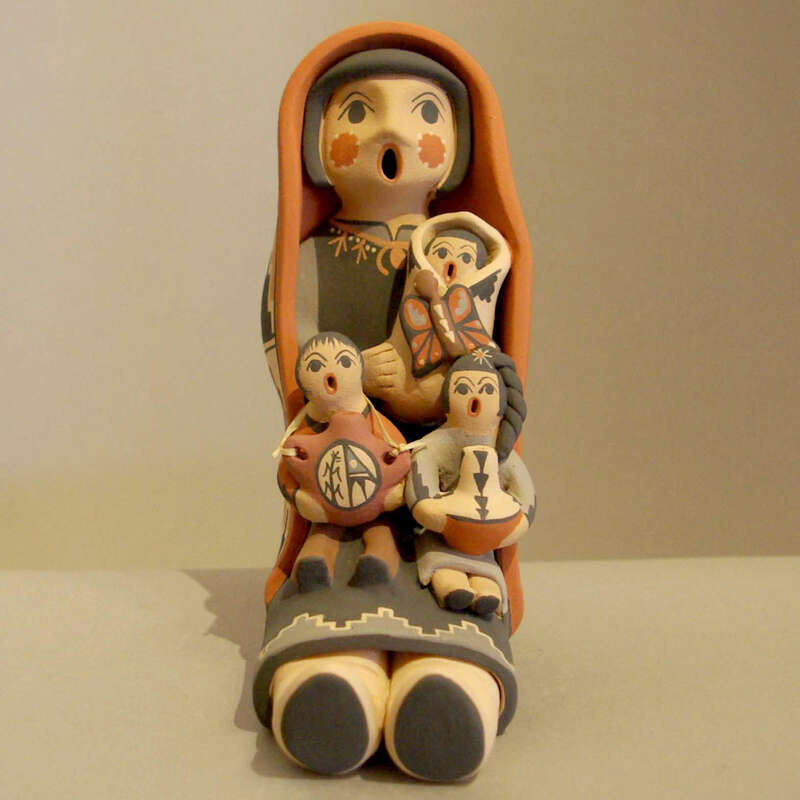 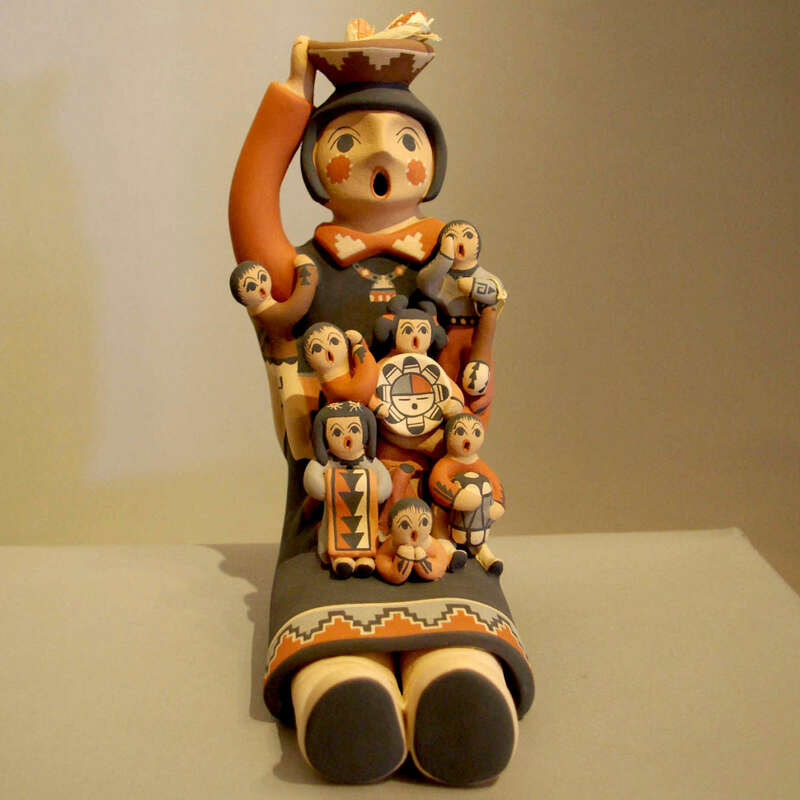 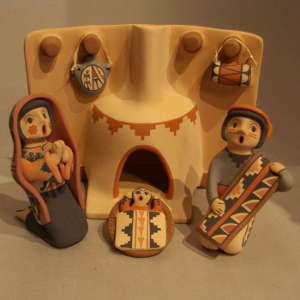 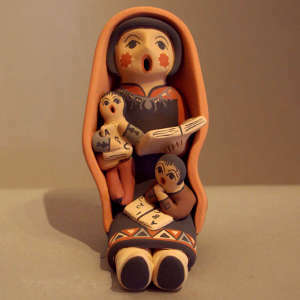 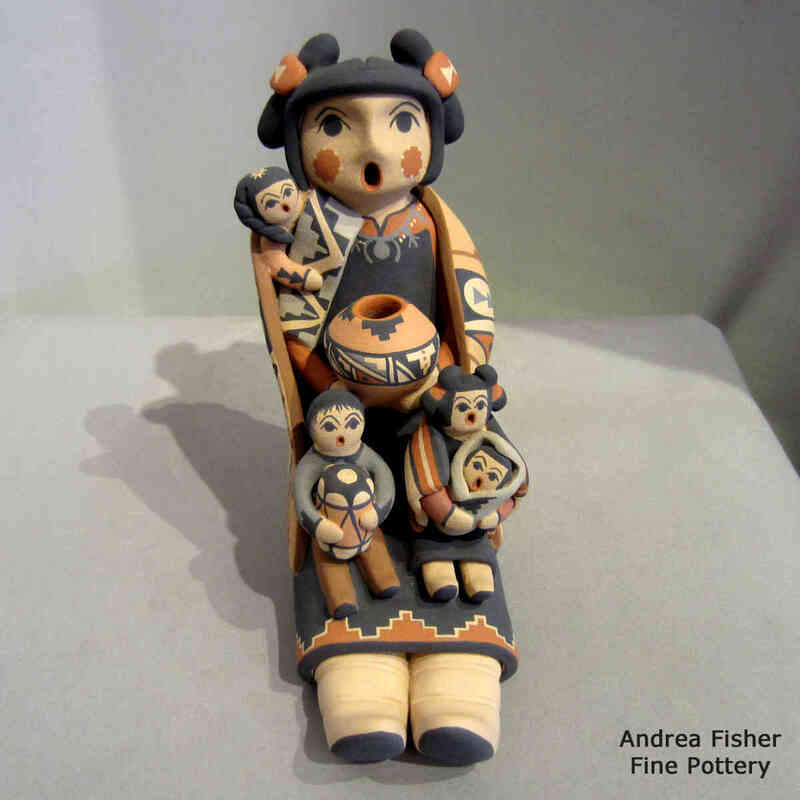 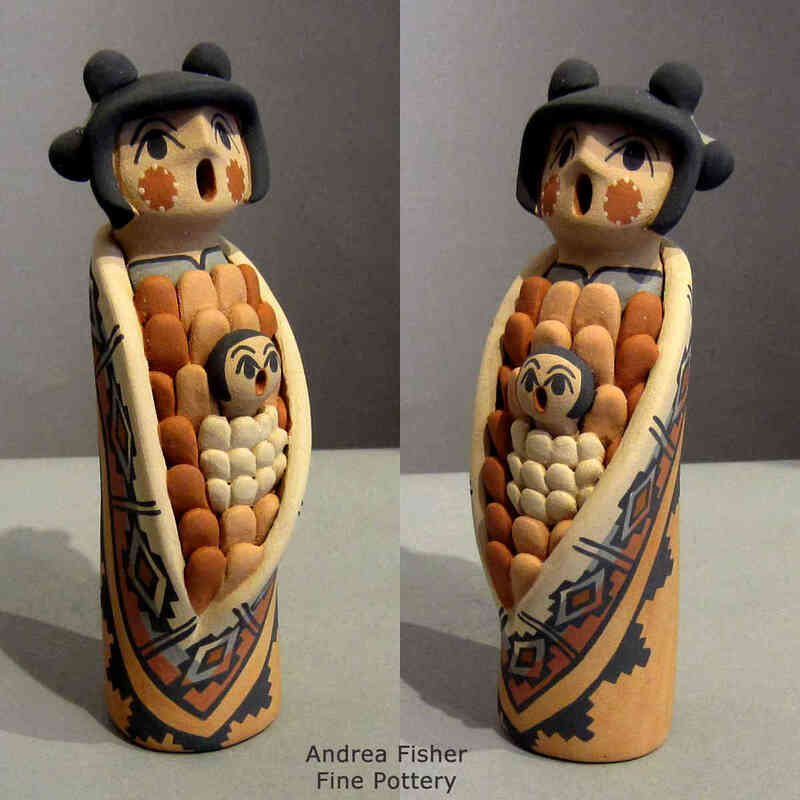 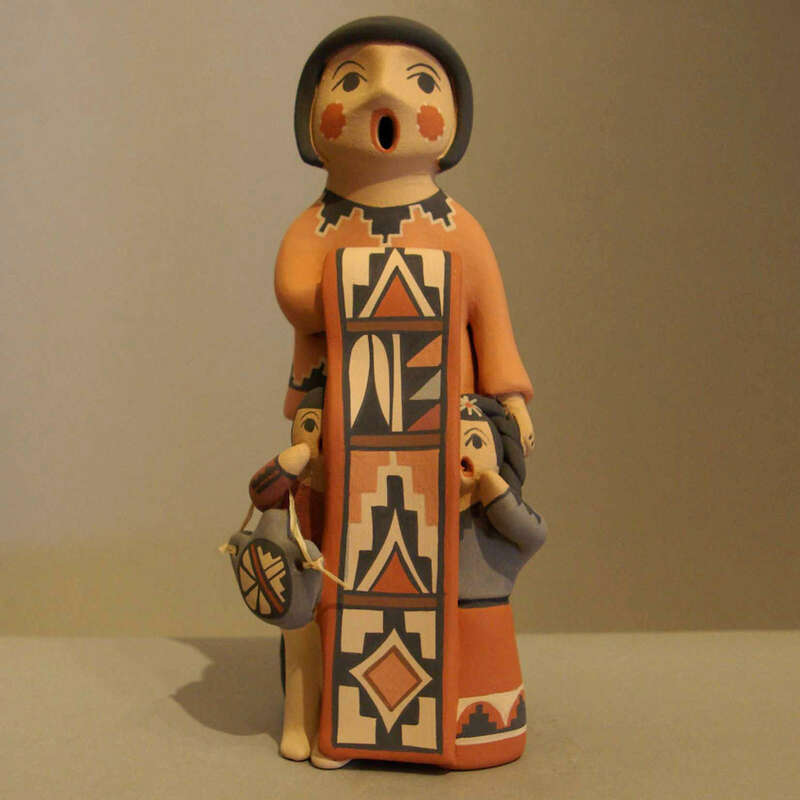 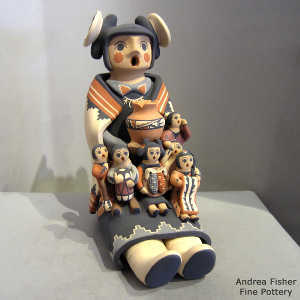 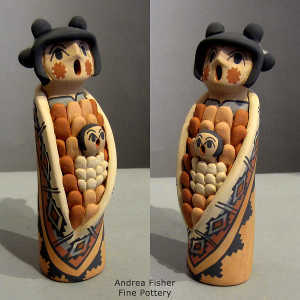 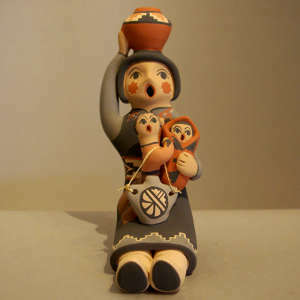 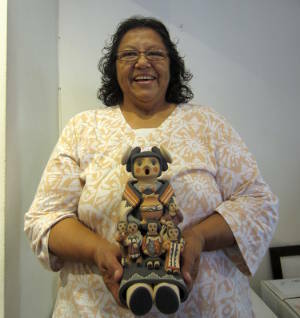 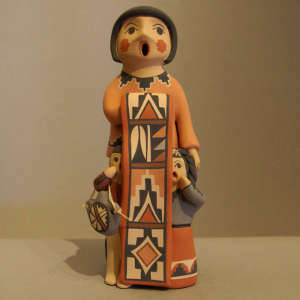 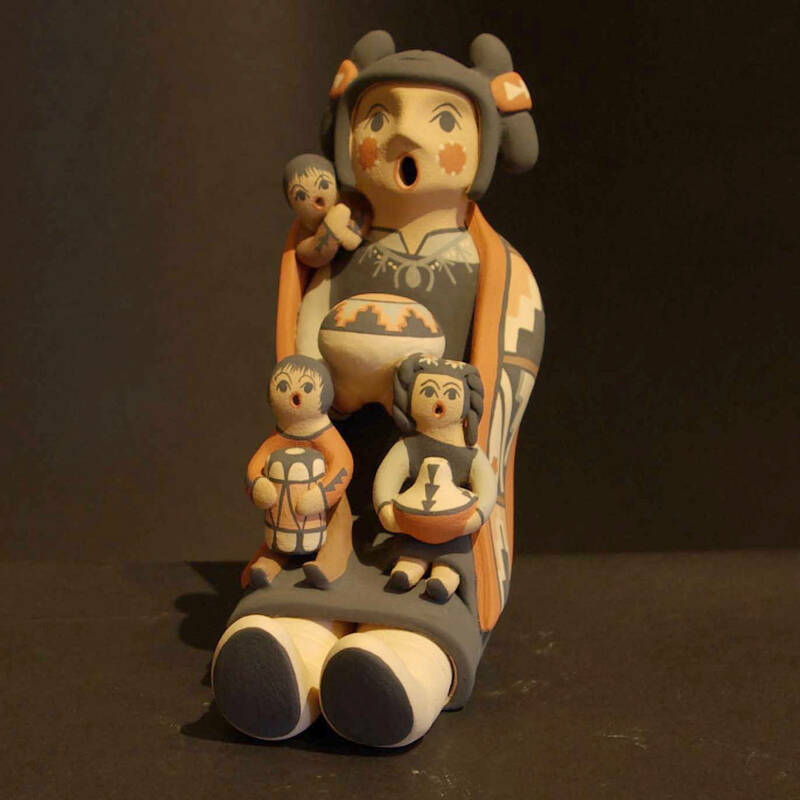 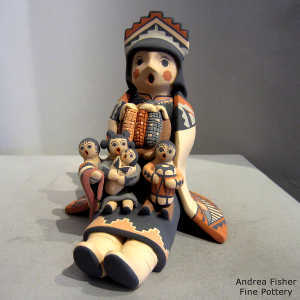 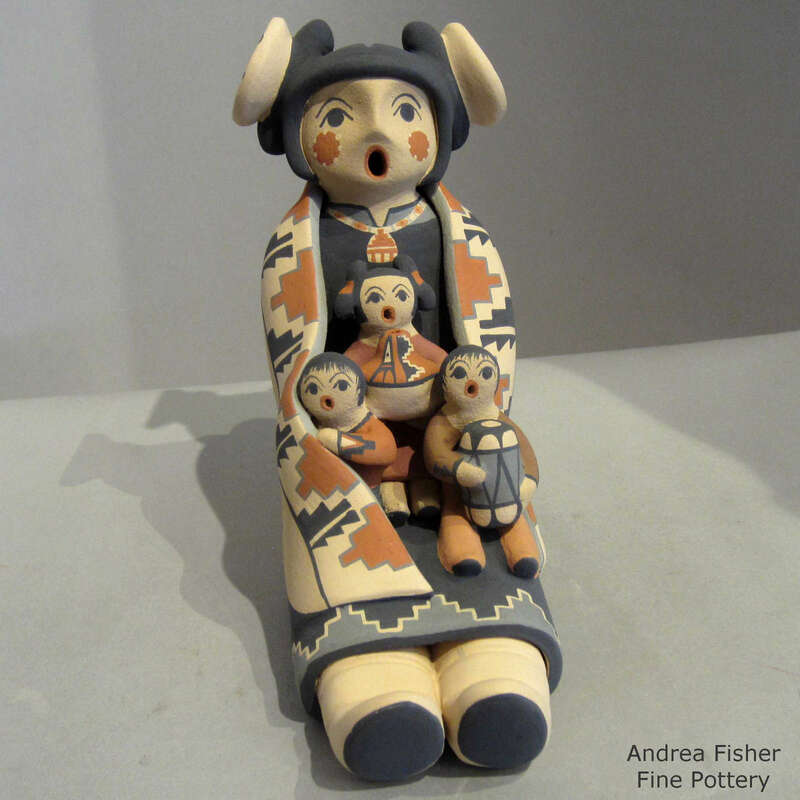 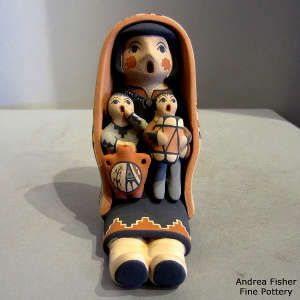 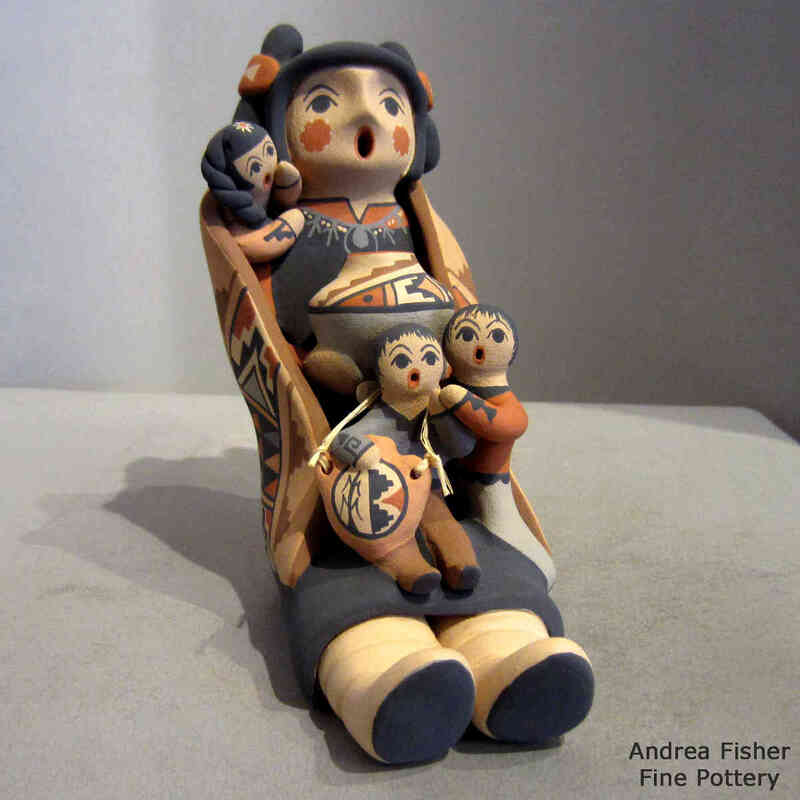 Linda's creations first appeared on the market in 1970 and she has won many awards since for her corn maidens, storytellers, nacimientos and other figures. 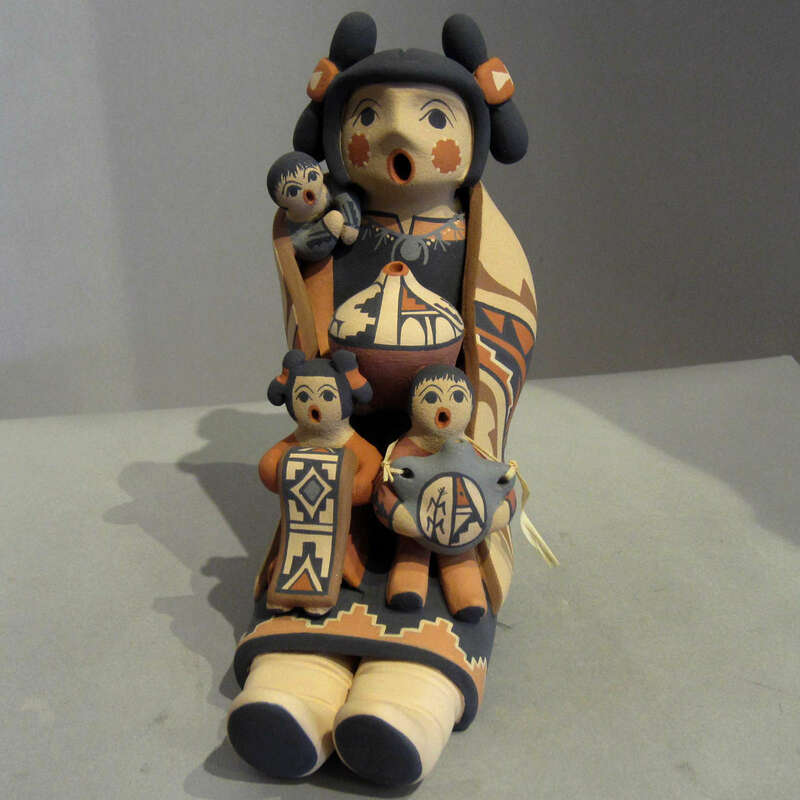 Linda has passed her knowledge on to her daughters Chrislyn and Amy and her son, Loren Wallowing Bull.